President Trump has announced his latest nomination for the Supreme Court of the United States. His name is Judge Brett Kavanaugh, and as one might expect in our divided times, the reaction was heated. 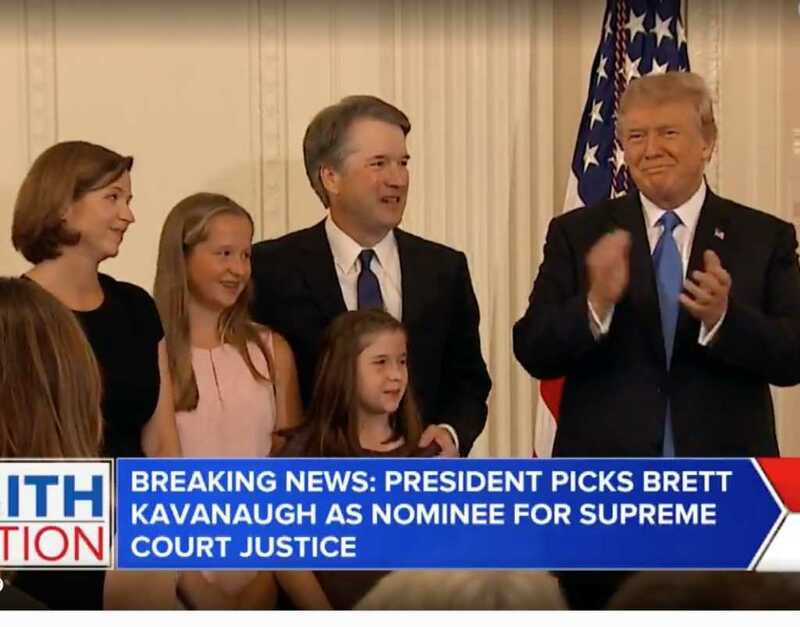 In front of a nationally televised audience Monday night from the East Room of the White House, President Donald Trump announced his nomination of Judge Kavanaugh to replace retiring Supreme Court Associate Justice Anthony Kennedy. Fun Fact that makes me very happy! Judge Kavanaugh has defended country of origin labeling on our beef products-supporting the American cattlemen and American beef! Excellent choice for SCOTUS. Judge Kavanaugh will be a strong defender of the Constitution. SCOTUS: DFA will fight Kavanaugh, says she "represents a generational assault on justice, freedom, core democratic values"
Many on the left clearly want to fight this nomination, but it will be difficult to stop the nomination process. Kavanaugh, 53, currently serves as a judge on the DC Circuit Court of Appeals. He has been on the DC Circuit court since 2006. He is a longtime judge and former clerk for Justice Anthony Kennedy. Some conservatives have questioned his commitment to social issues like abortion. Kavanaugh served under President George W. Bush, which is partly why some have labeled him as more of an establishment choice. Plus, he is a former law clerk to Kennedy, who switched sides quite a bit during his time on the Supreme Court. For still more background on the nominee, click HERE.